Netflix presents the First Look at the feature film War Machine, starring Brad Pitt, Emory Cohen, Topher Grace, Anthony Michael Hall, Will Poulter, Lakeith Stanfield, Meg Tilly, Tilda Swinton, and Sir Ben Kingsley. This absurdist tale and pitch-black war story takes on hot-shot General Glenn McMahon, a man caught up in a modern war machine that keeps on churning, seemingly to no end. I remember the first time I saw an Amy Schumer’s stand-up routine. I was disgusted. I thought she was one of those comedians who tries so hard to illicit a reaction that they sometimes forget to leave a window open when they fill the room with their raunch. There is nothing funny about one genital reference after another without a punchline. 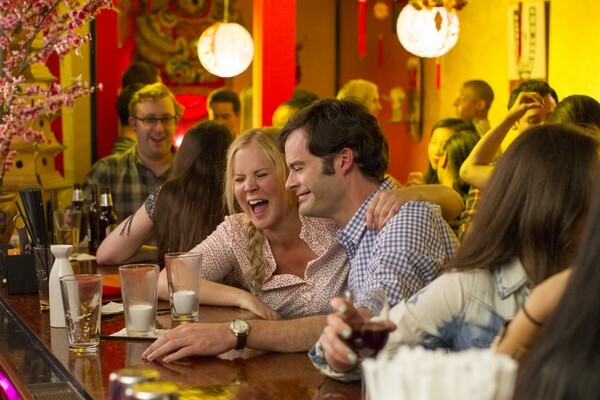 Fortunately I was mistaken because Amy Schumer, much like the Amy of her first leading role in Trainwreck, voices her stream of thoughts which range from ridiculous to hysterical with more regard for getting through life than for getting a reaction.